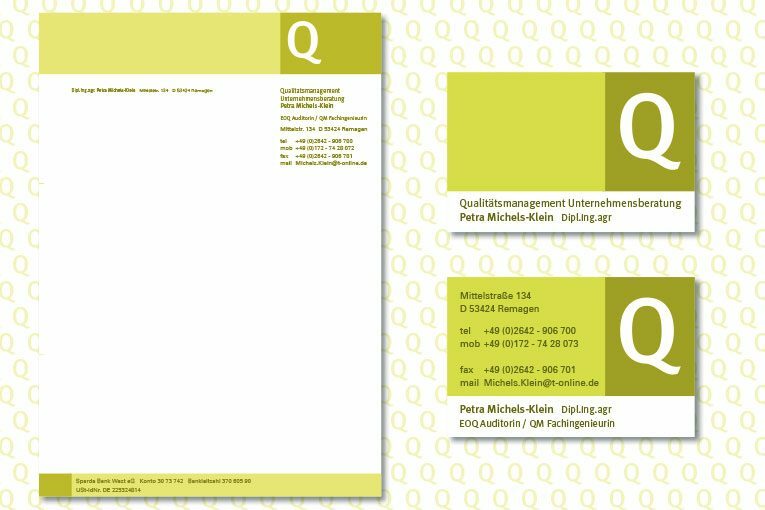 Quality management and ISO certifications are also gaining importance in the field of agriculture. A clear structure and recognition factor were the desired goals. 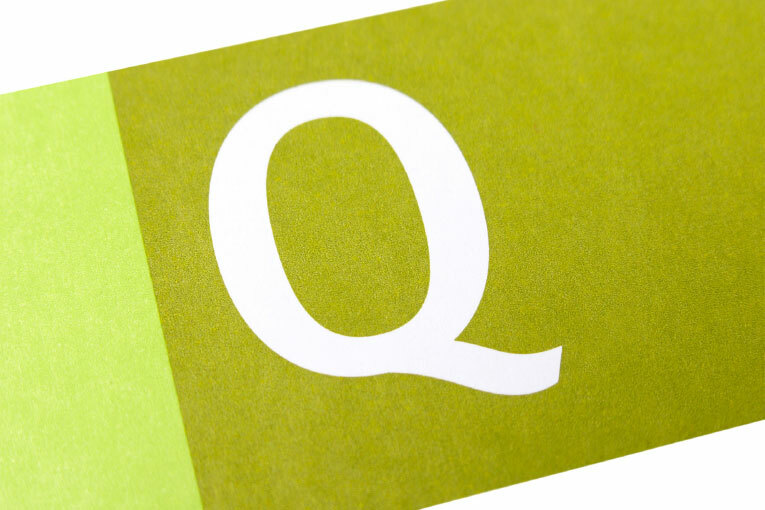 Ochre brown and fresh green symbolise the agricultural industry and Q is a common and clear symbol of quality. 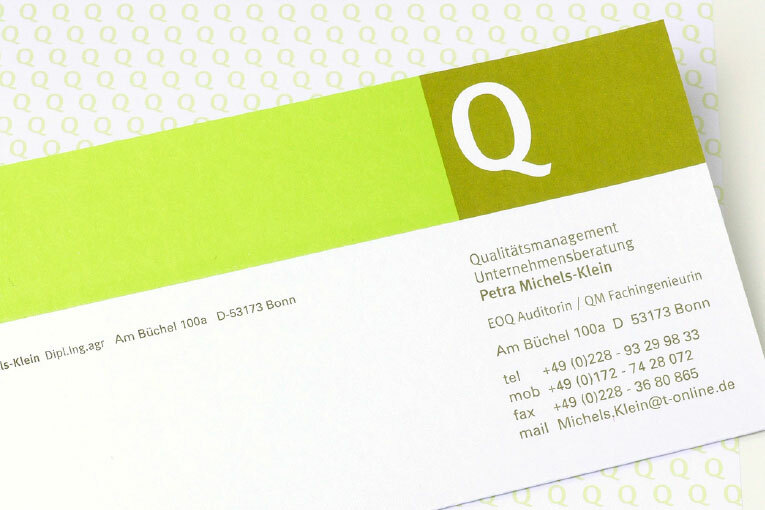 Together they create a coherent visual identity. The reverse side picks up on the logo and references watermark patterns such as those on certification documents and banknotes.